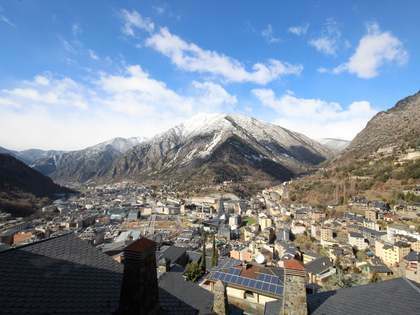 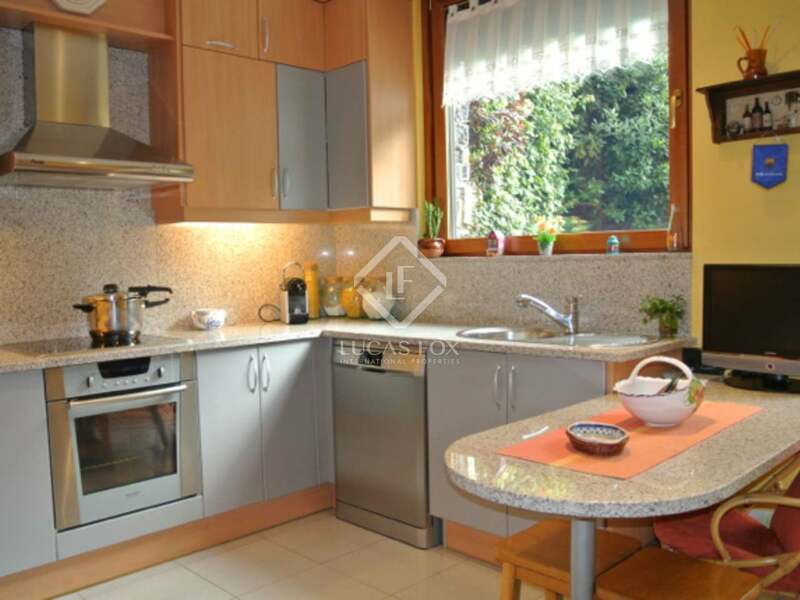 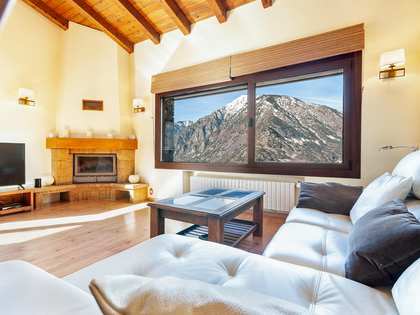 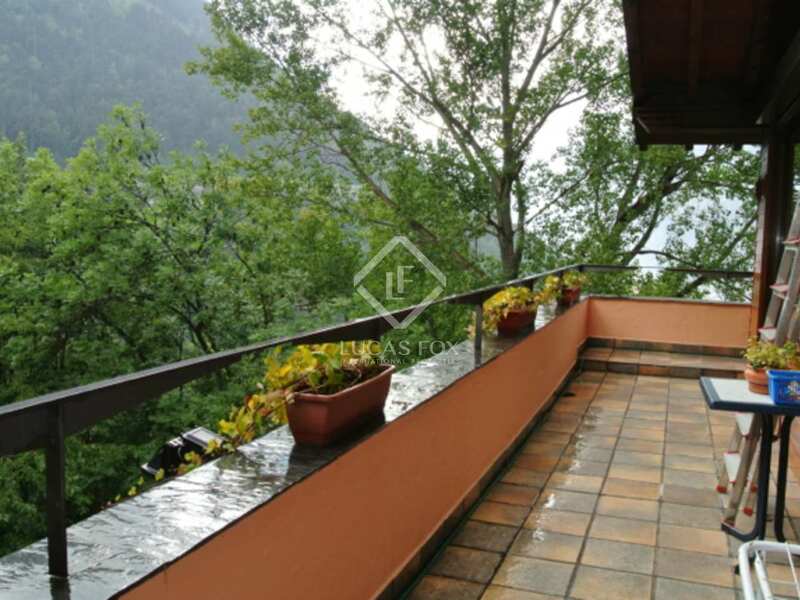 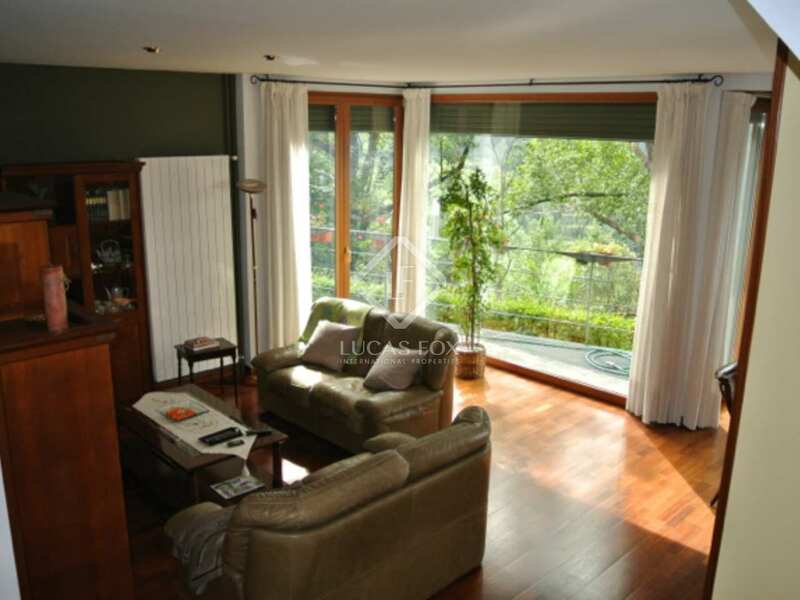 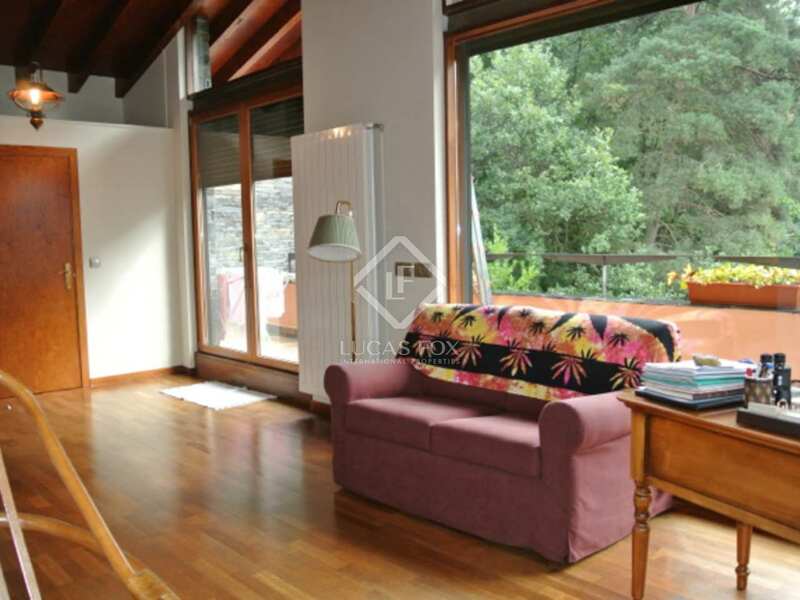 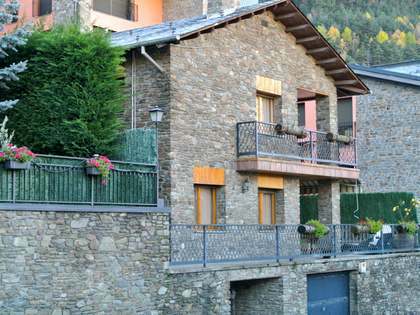 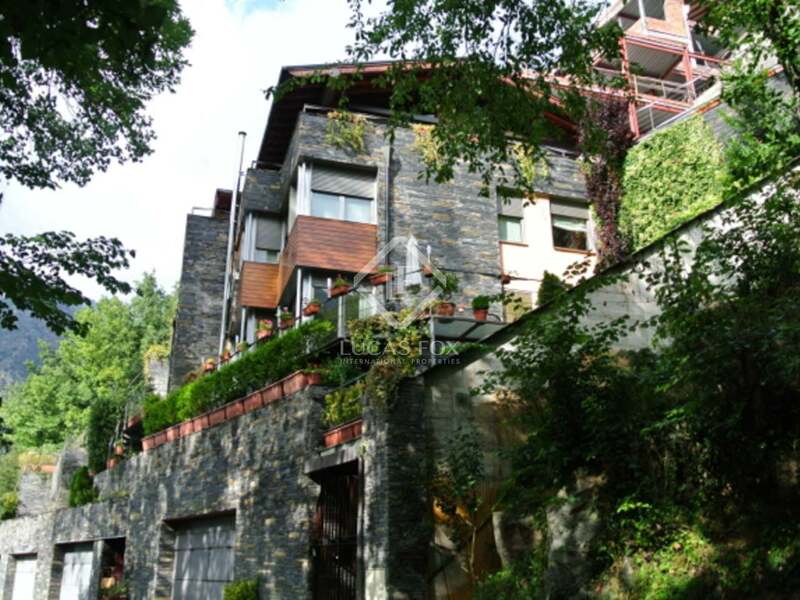 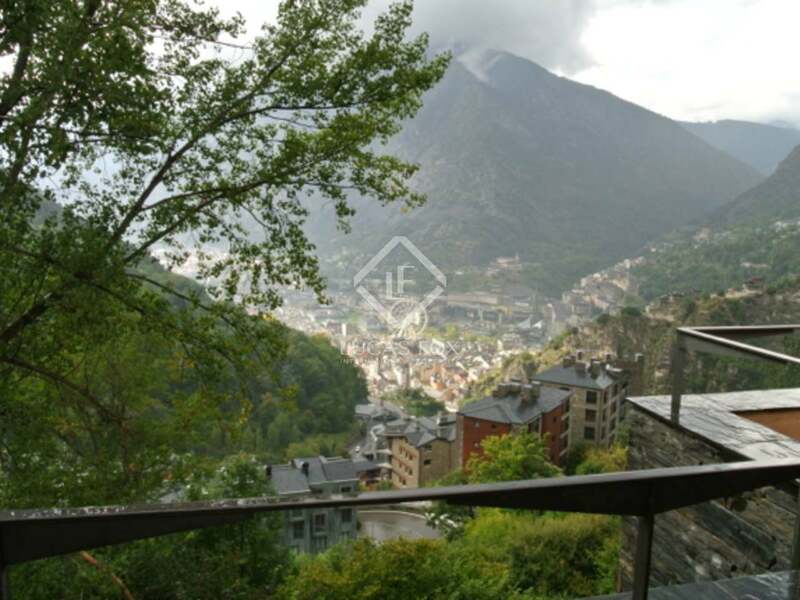 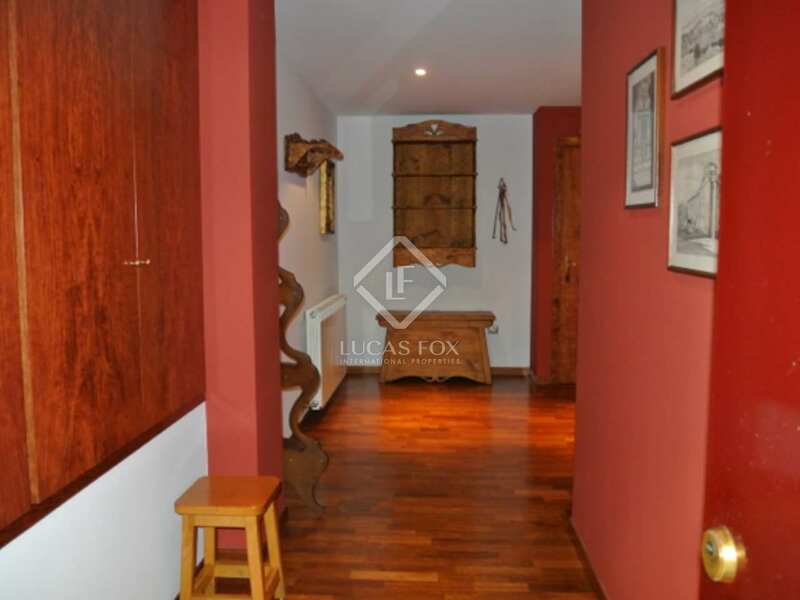 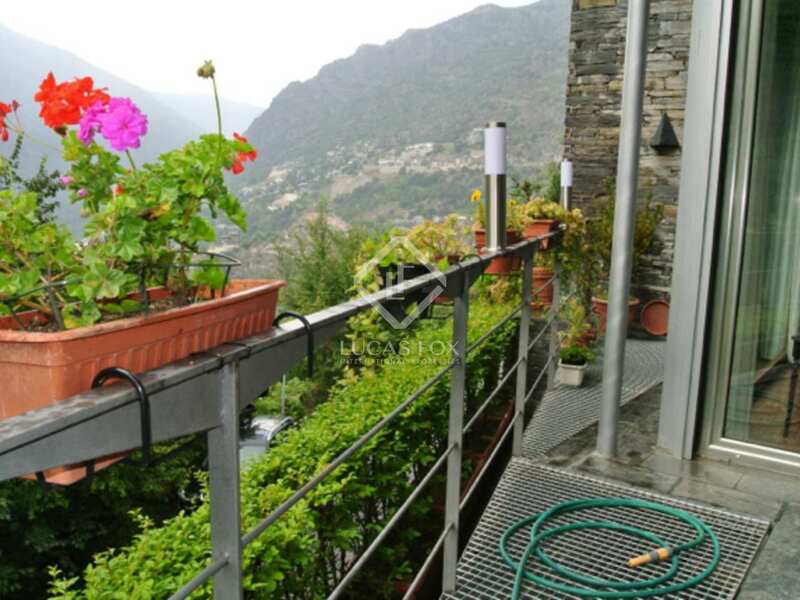 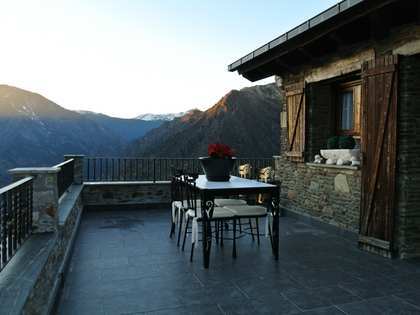 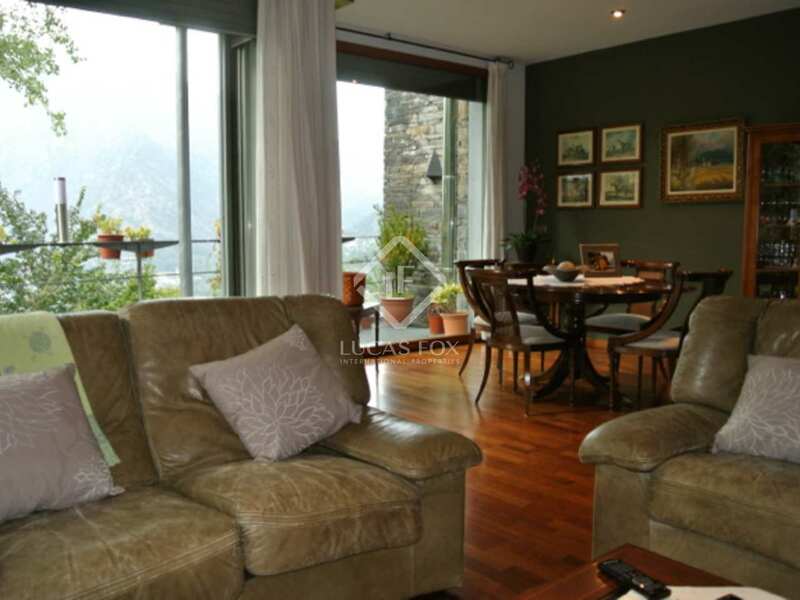 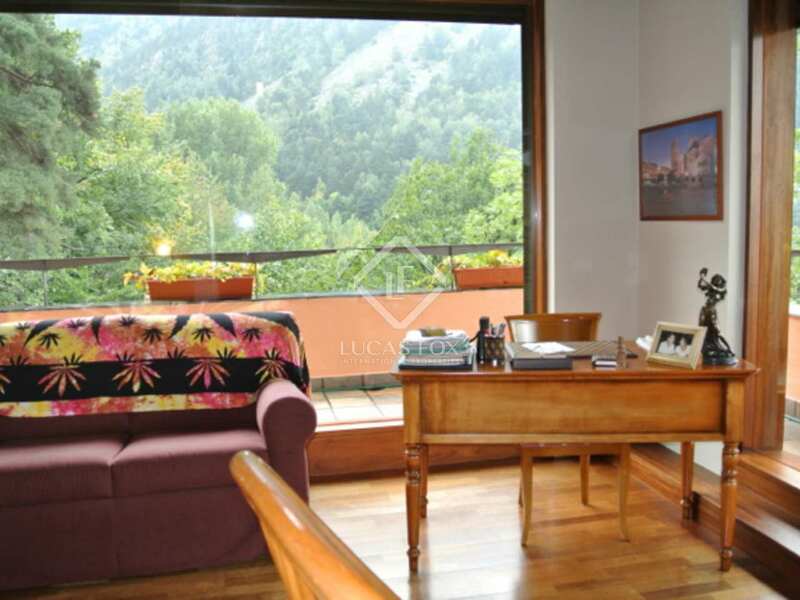 This fantastic semi-detached house for sale is located in a quiet residential area of Escaldes, just 5 minutes from the centre of Andorra. 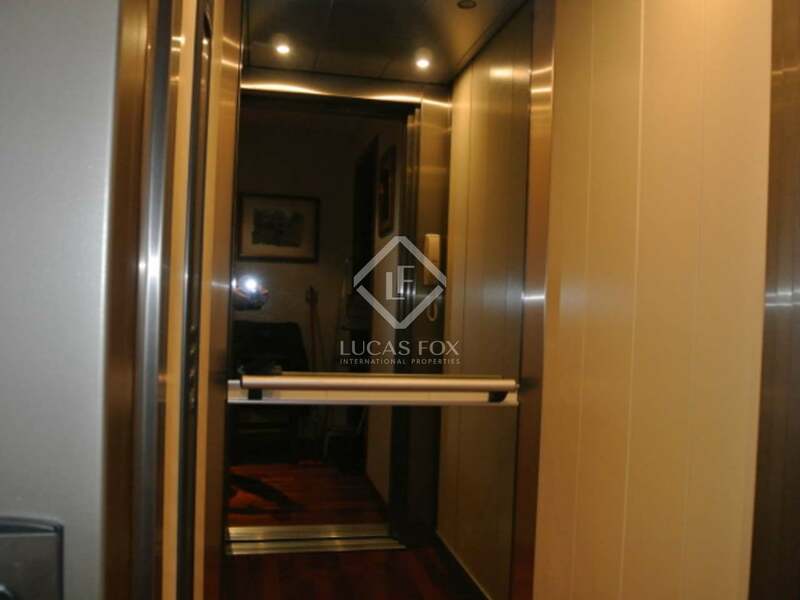 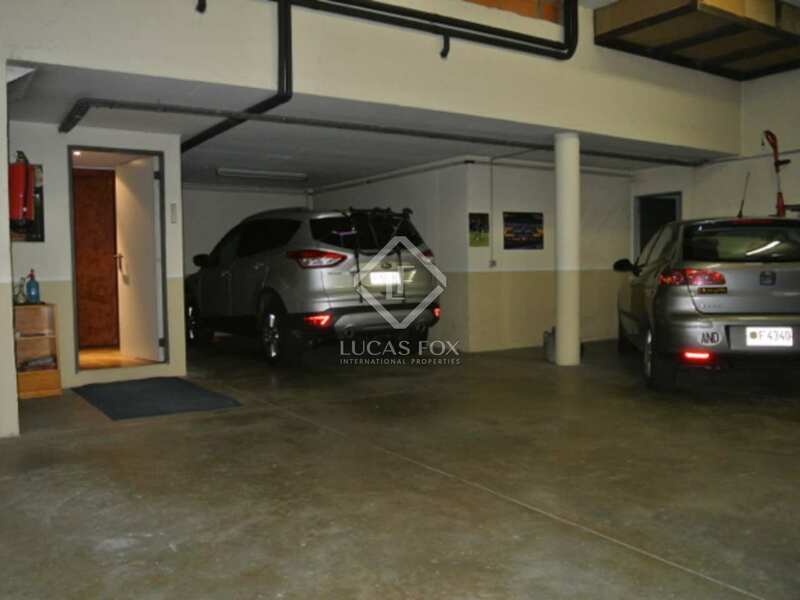 The property is distributed over 4 floors with a lift, and offers parking for 4 cars, a storage room and a utility area. 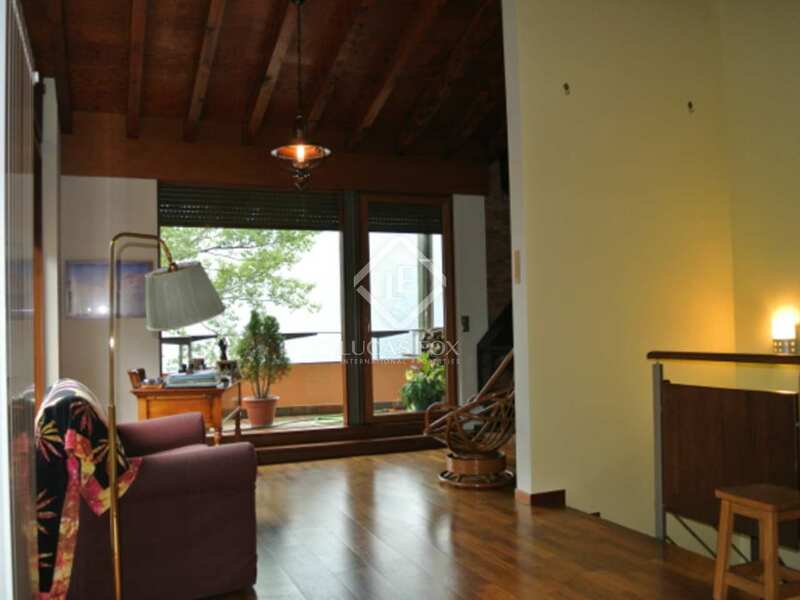 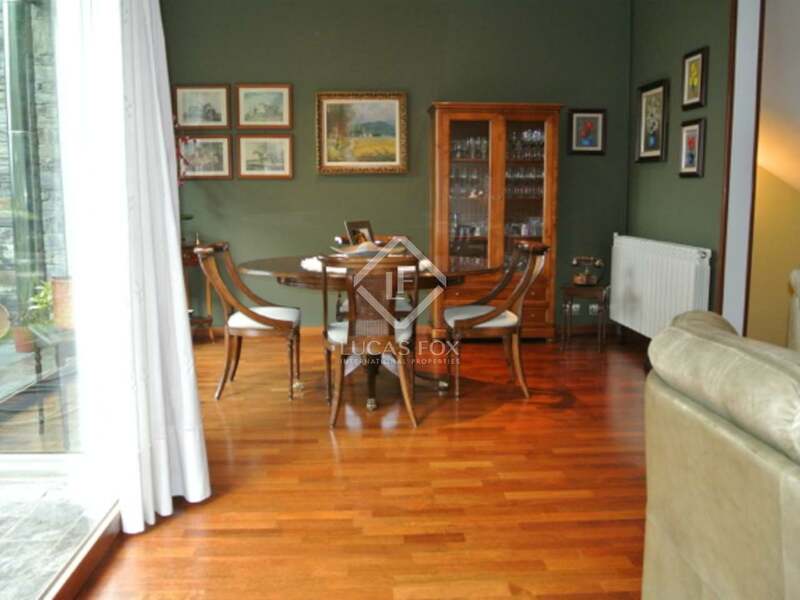 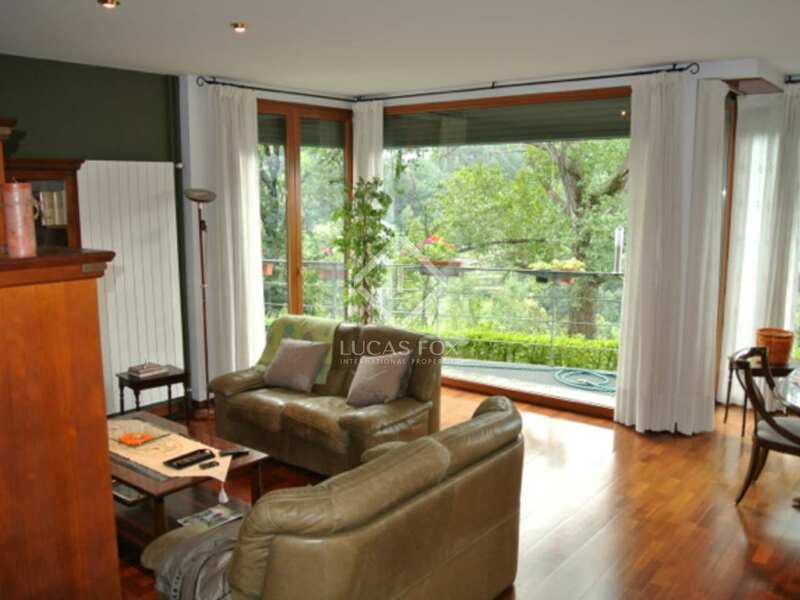 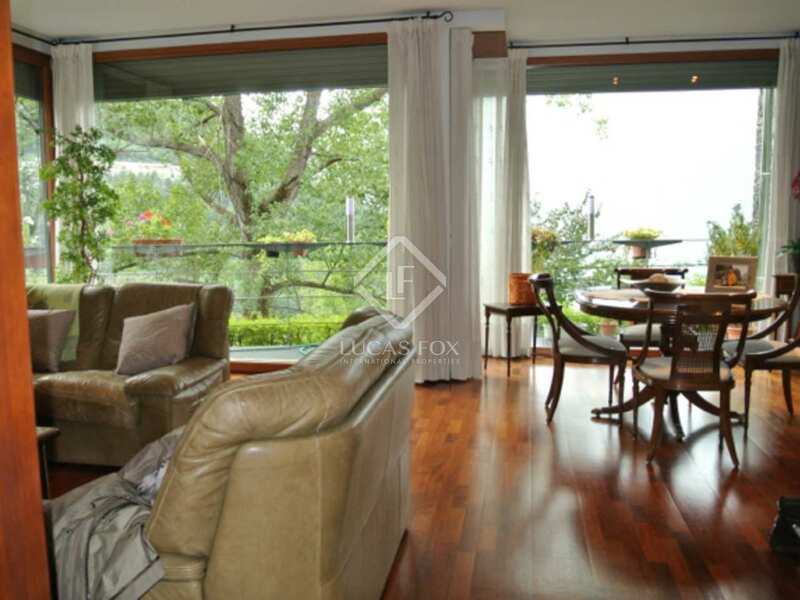 One floor offers a living/dining room, a kitchen and access to a 40m² terrace. 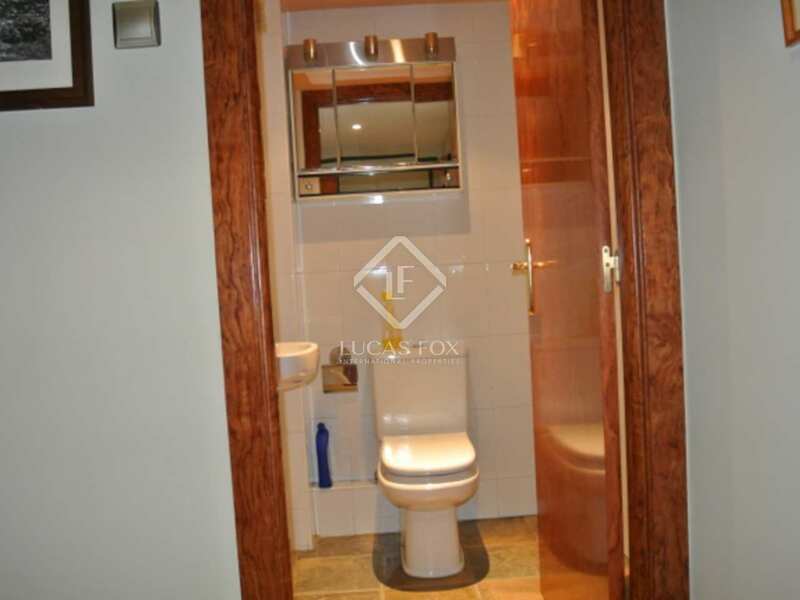 Another floor offers a large ensuite bedroom with a dressing room and a bathroom with a hydromassage bath tub and a jet shower, and a further bedroom. 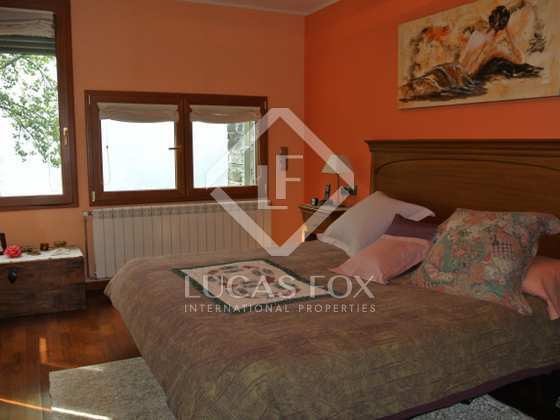 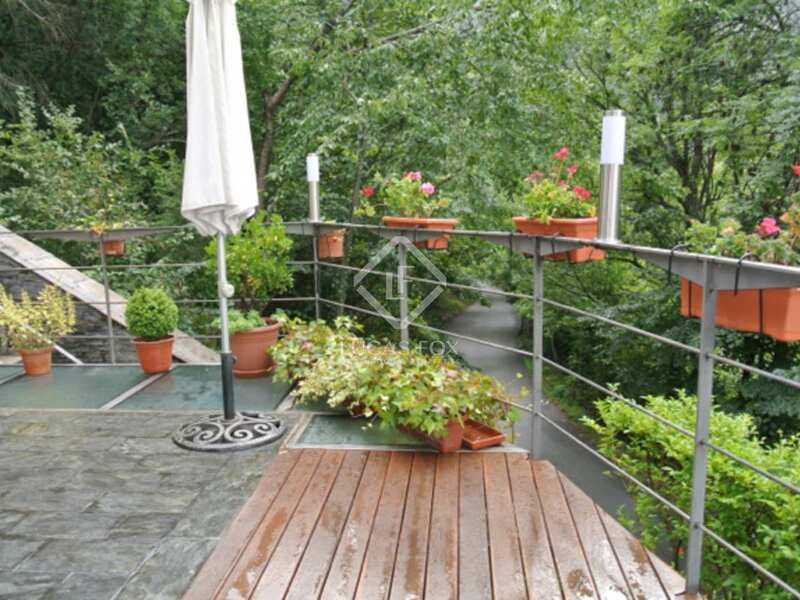 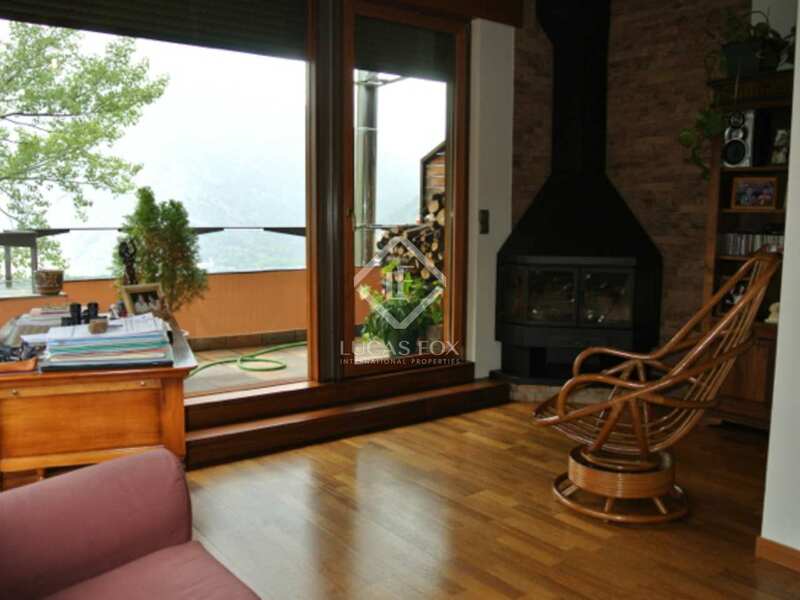 On the top floor there is a large attic space with a fireplace, a bathroom and a 40m² terrace with spectacular views over the valley, ideal for another ensuite bedroom. 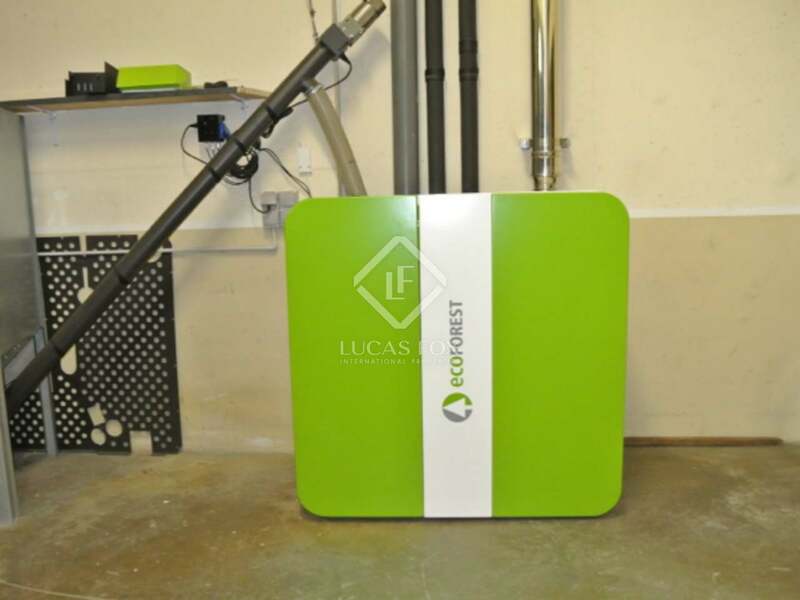 The current owner has recently installed a second ecological heating system with a biomass boiler to add to the existing underfloor heating. 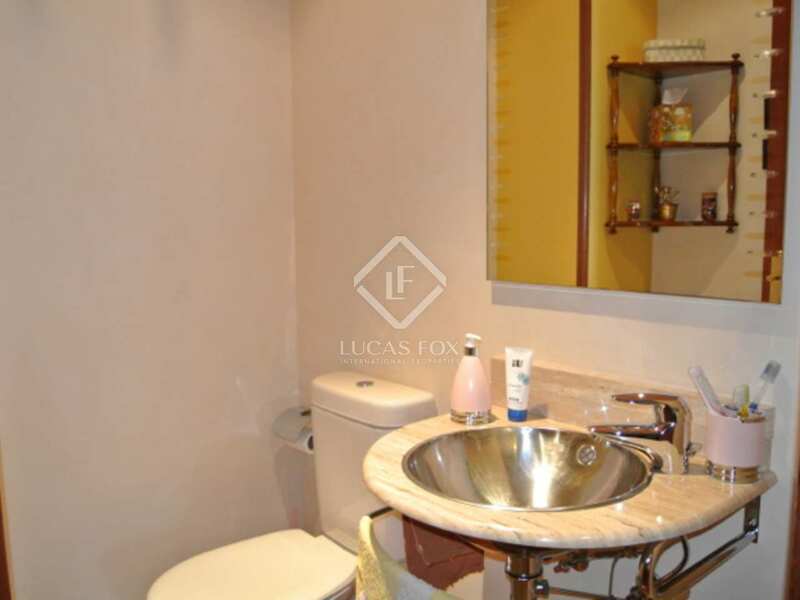 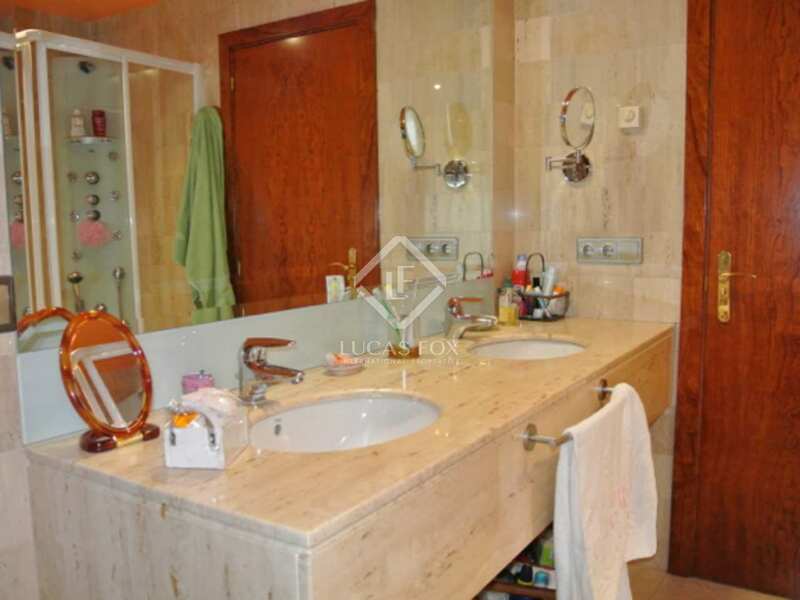 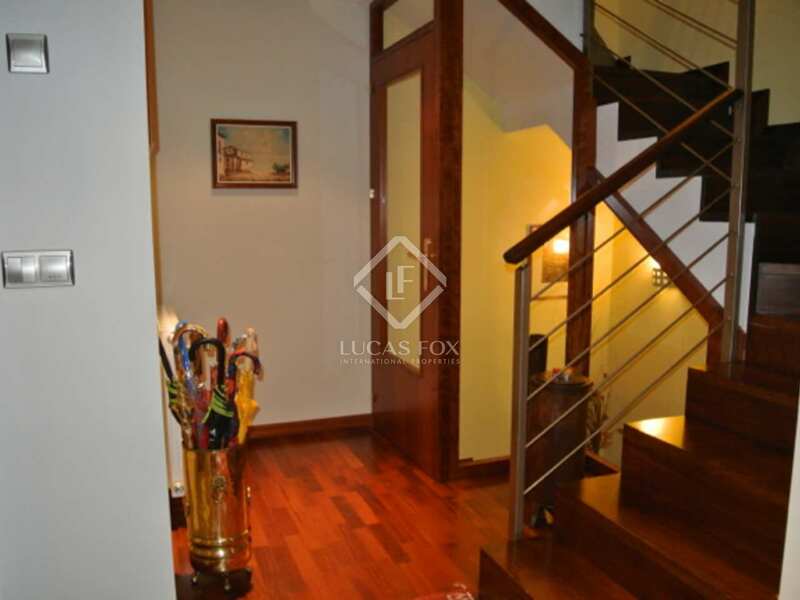 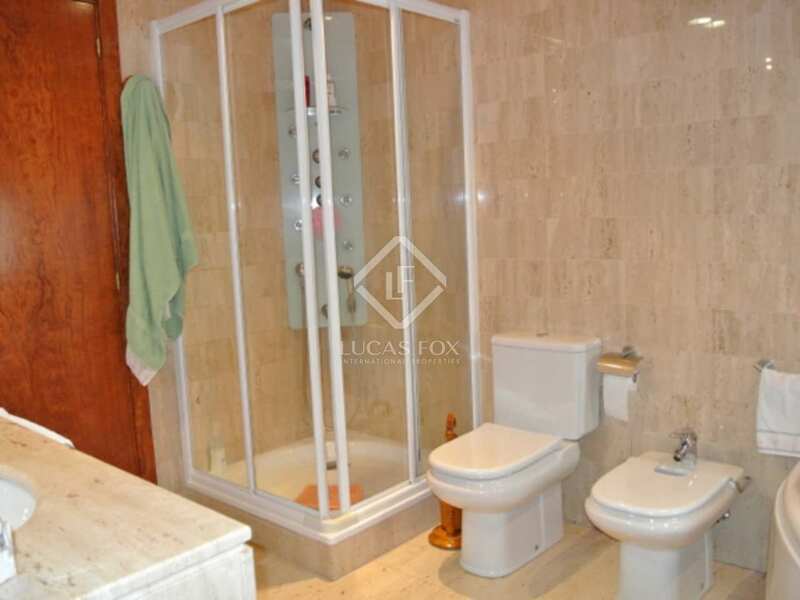 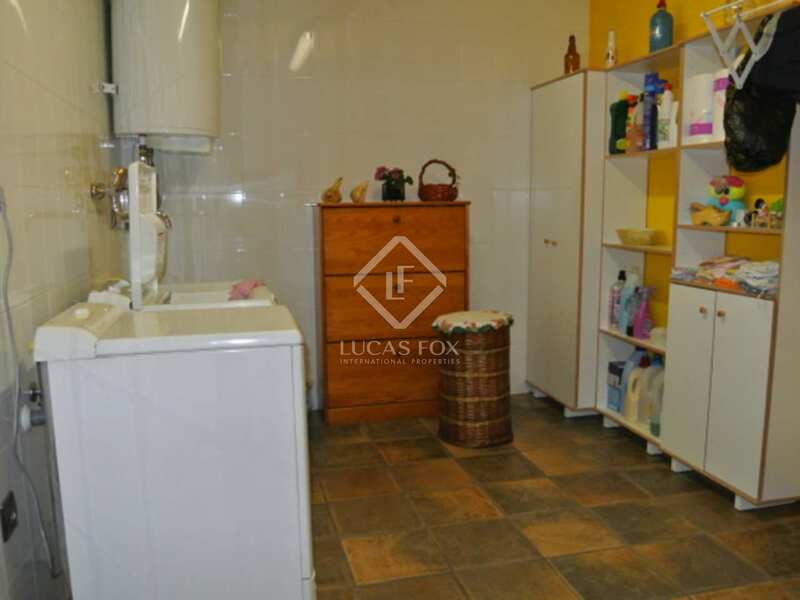 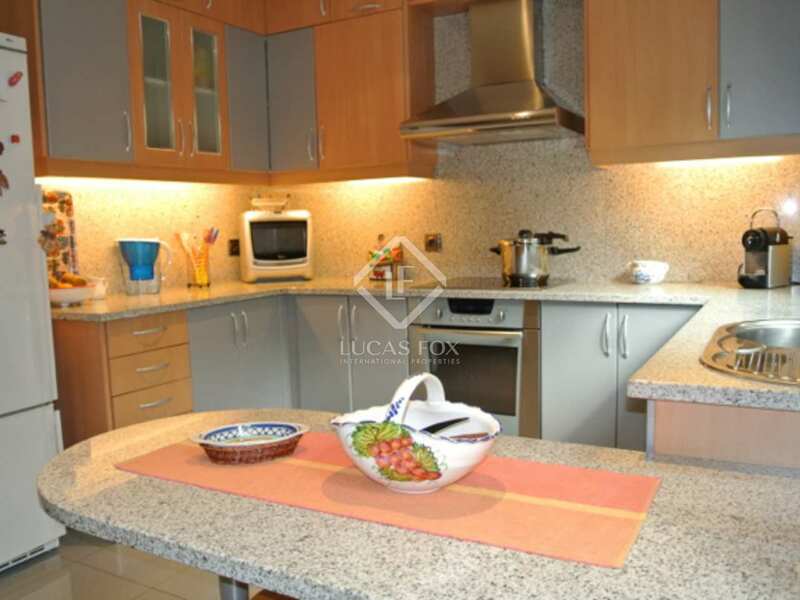 The property has been well maintained and is offered in perfect condition. 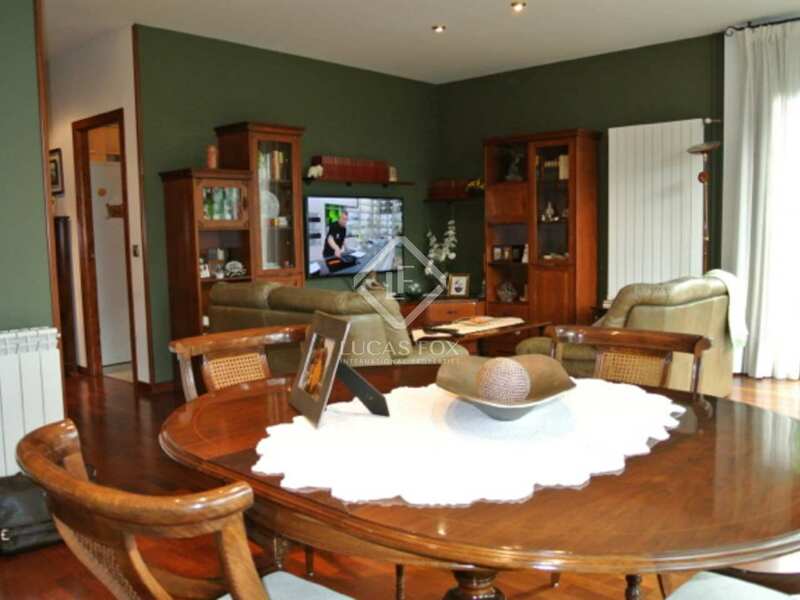 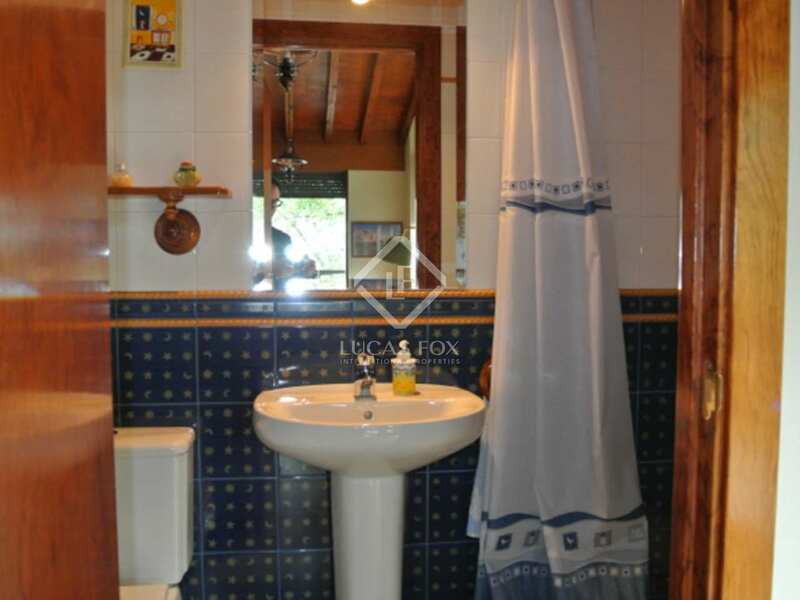 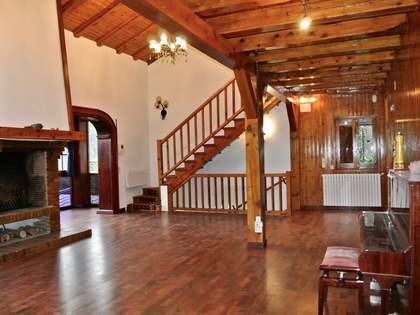 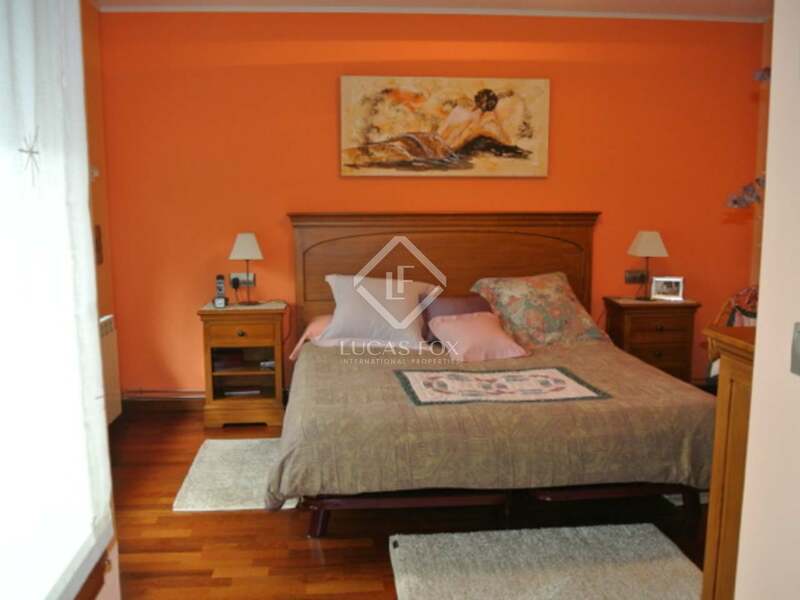 This magnificent house is situated in the quiet residential area of Can Nogué, just 5 minutes from the centre of the capital and all its amenities. 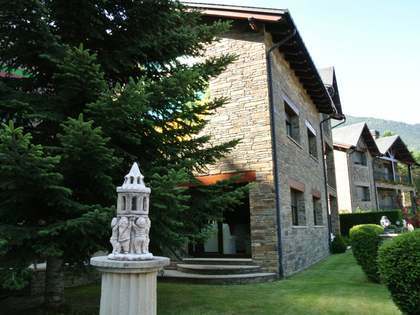 The prestigious Caldea Thermal Spa and many other attractions are situated close by.